Almost a half-decade later, Big O Tires has become North America's largest retail tire franchisor, with over 400 independently-owned and operated locations in 20 states, providing customers with a broad range of automotive services in addition to quality tires, wheels and accessories. 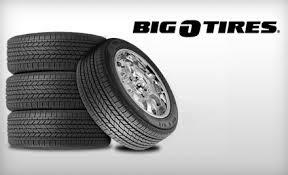 In 1996, Big O Tires joined forces with one of the largest and most respected tire marketers in the nation when it became part of the TBC Retail Group, an automotive retail network comprised of some 1,200 Big O Tires, Tire Kingdom, Merchant's and NTB locations spanning 40 U.S. states. Big O's reach was broadened again in 2005, when TBC Corporation was acquired by Sumitomo Corporation of America, the largest wholly-owned subsidiary of Tokyo-based Sumitomo, one of the world's leading traders of goods and services.